Which European Design Style Best Suit Your Lifestyle? Many of today’s most prolific design movements stem from Europe—which is no surprise, given the continent’s vibrant history, distinctive architecture, and diverse influences. From the inclination of Southern California enclaves to Tuscan and Mediterranean styles to the ever-growing obsession with Scandinavian minimalism, it’s clear that European movements have permeated the world's design sensibilities. Here's a look at some of Europe’s popular home decorating styles. 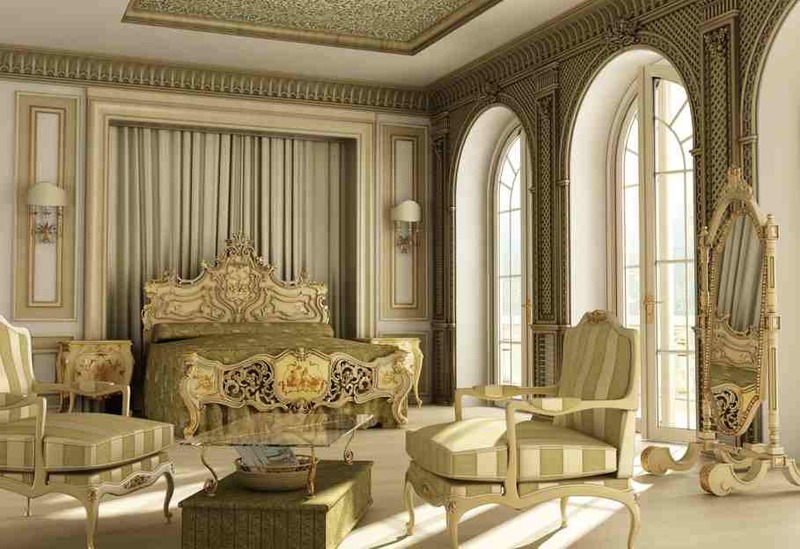 The Baroque home design is associated with opulence, grandeur, and luxury. Intricately designed furniture, gilded accessories and sleek materials such as marble and granite are characteristic of this European-influenced style. Architecture, decor, and furniture are all symmetrical and depictions of shells and garland are frequently used throughout the home. Irregular curves, elaborate scrolls, oversized moldings and twisted columns can be found on pieces such as sofas, dining chairs, tables, and cabinets to create a sense of motion. Candles and lanterns are frequently used light fixtures with this home style. Iron lanterns line the walls of hallways and candles flicker on wood, brass and pewter stands. Bohemian-style homes are equipped with a laid-back atmosphere and place an emphasis on nature, intricate patterns and bright colors like purples, reds, and pinks. In fact, all of these elements are frequently combined to create an eclectic and unique aesthetic. Boho chic is all about mixing interesting colors, trinkets, fabrics and various types of furniture without any intention of matching or adhering to a specific style, much like the nomadic vagabonds who inspired it. You might see a contemporary couch featuring striped upholstery alongside a vintage velvet ottoman and a bright-colored statement chair. It’s the mix of different types of furniture that make Bohemian interiors so versatile. Light fixtures are just as unique as the furniture. Intricately detailed pendants, chandeliers dripping with crystals and table lamps complete with fringe are fixtures common for Bohemian homes. Inspired by the decor prevalent during the colonization of Africa, Asia, and the West Indies, British Colonial interiors feature lightweight cotton fabric on drapes, curtains, and bedding. The most common color palette includes a mix of whites, beiges, and browns to produce a subdued and subtle look. Flowers and plants are consistently used throughout the home to provide a fresh feel. Furniture is made up of materials like wicker, ebony, teak, and mahogany. Tables, chairs, cabinets, and sofas are usually constructed with dark-colored wood to create a rich, sophisticated ambiance. The deep-colored furniture provides a lovely contrast to the neutral-toned walls. Bell jar lanterns and lighted ceiling fans are popular fixtures to illuminate British Colonial homes. English country homes have a focus on warmth and charm. Beautifully carved wood furniture and skirted beds, couches, and chairs frequent interiors. A rich color palette of pinks, greens, blues, and reds bring forth that welcoming English feel. Antique accessories are used throughout the home to add a touch of vintage flair. Floral, plaid and striped patterns are often used on linens and fabrics, as well as wallpaper and ottomans. 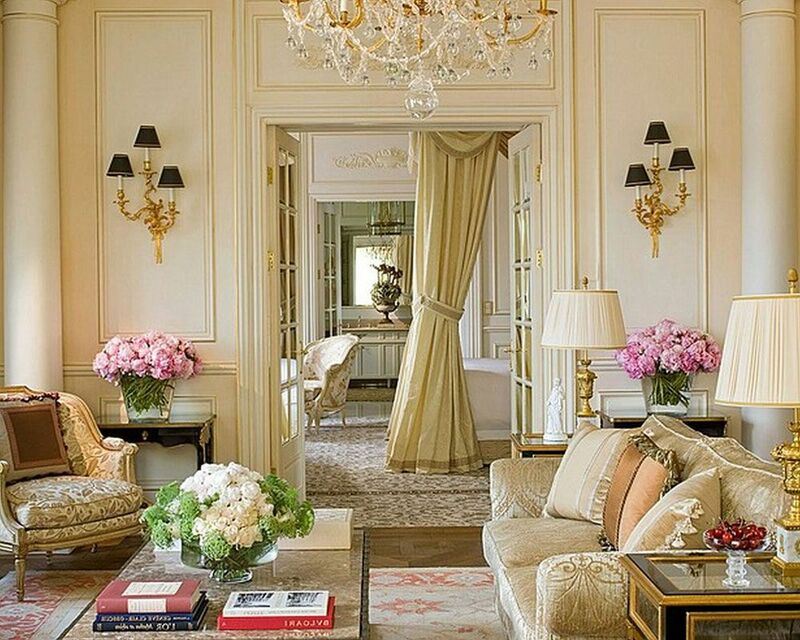 French interiors are elegant, sophisticated, refined and ornate. The affluent style relies on soft and subtle shades, like beige and off-white. Typically, the same color is used throughout the space to create a coordinated and balanced interior. Rich materials like gold, silver, and bronze are frequently used on wall decor, faucets, light fixtures and cabinet hardware. French furniture has an antique, heirloom feel to it, and pieces like couches and chairs feature dark glossy wood covered with engraved ornate detailing. 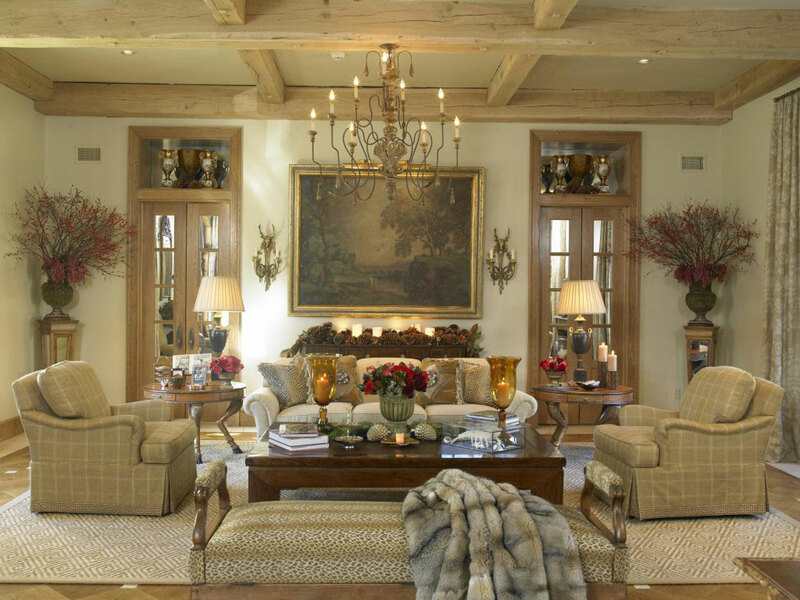 A French Provincial design is all about creating symmetry and balance in the home. This style can suit both formal and laid-back design tastes, as it combines both elegant and country elements. These homes are generally built out of brick, stone or stucco, and those materials are often found inside the dwellings as well on accent walls and furniture. The more casual French Provincial homes use a color palette of subtle blues, yellows, pinks, and whites for a mixture of glamour and whimsy. French Provincial interiors feature French doors, as well as arched windows and entryways adding to the stately elegance of the style. While similar to simple Hamptons style, French Provincial provides subtle ornate details. Italian interiors are filled with natural hues like off-whites and beiges. Splashes of Mediterranean colors such as brilliant blues, rich greens, burnt oranges and gentle yellows also make an appearance. Natural light is emphasized in the home in order to show off the extensive color palette. Italian homes are characterized by a natural appearance – stone, slate, and granite are used throughout the interior on countertops and accent walls. Terracotta tiles and ornately detailed mosaic tiles are used in backsplashes to bring an accent of bright color to the distinguished old-world space. 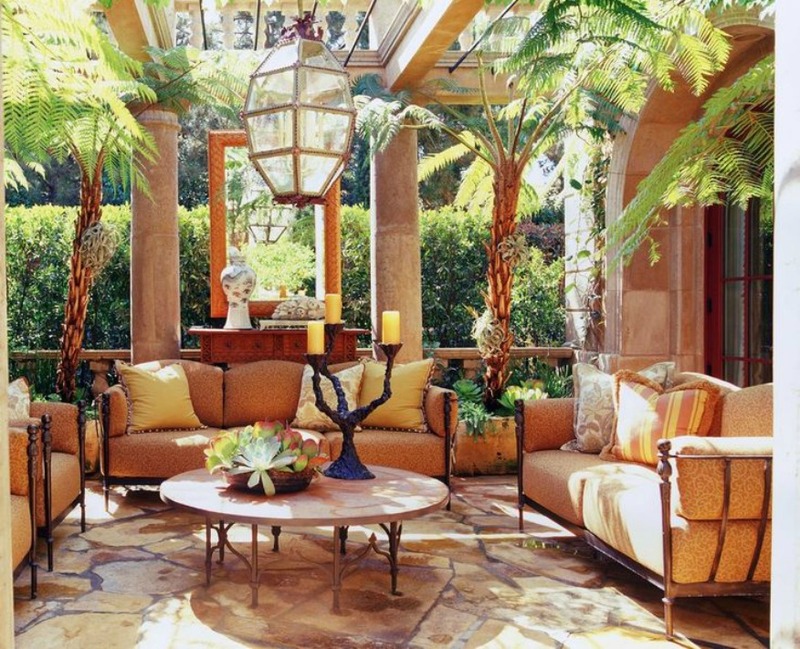 Mediterranean design is influenced by location. 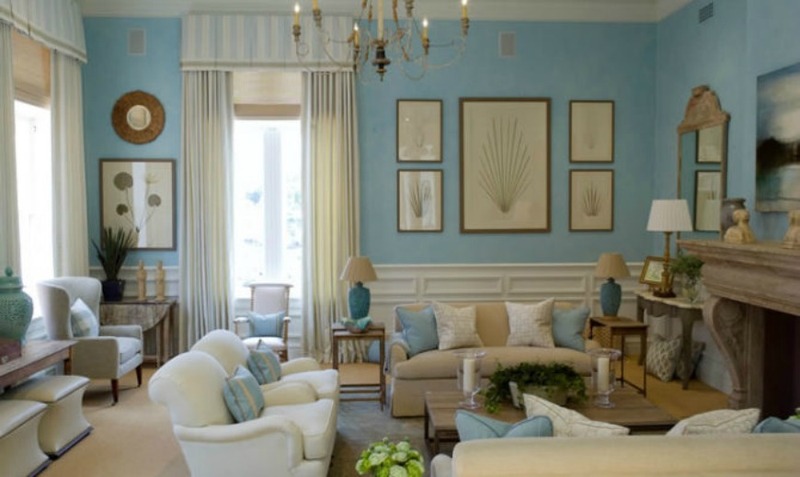 Touches of Spain, Greece, and Italy can be found in Mediterranean homes, and these locations are brought to life through bright, bold colors influenced by the sea and sky, like turquoise, emerald, and yellow. Decorative mosaic tile is often used on interior elements like floors, table tops, bullnose edged counters, mirrors and backsplashes to bring a charming rustic appeal to the home. 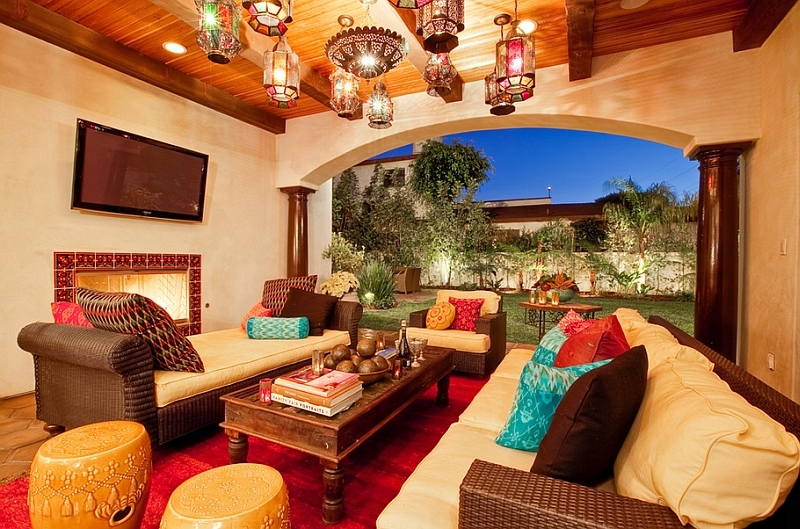 Mediterranean furniture is built short and low to the ground. The feet on the furniture are turned and ornately detailed. The outdoors is always embraced, and many homes blur the line between inside and outside using picture windows and glass sliding doors. 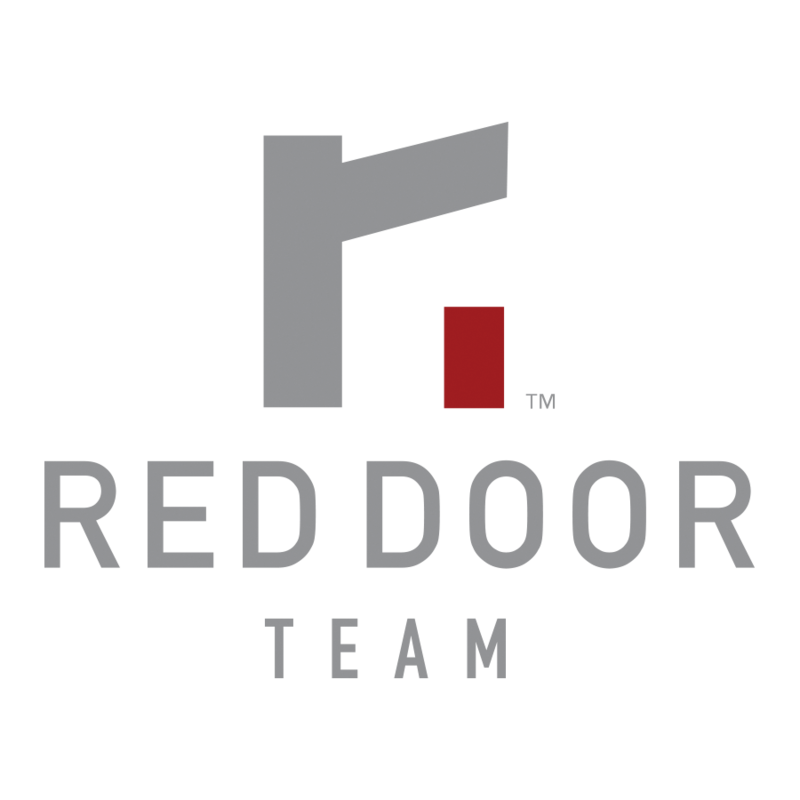 Red tiled rooftops, similar to Tuscan architecture, adorn many Mediterranean homes. Wrought iron banisters and balconies are also popular features. Moroccan interiors can be compared to Bohemian and eclectic homes, as Moroccan home design combines a variety of colors and patterns to bring character to a space. The shades used in Moroccan homes, however, are mainly deep jewel tones like emeralds, royal blues, and bold purples – vibrant reminders of the colorful flea markets of ancient Marrakech. Furniture is ornately carved with wooden accents and is upholstered with luxurious fabrics like silk and velvet. Fabrics feature colorful mosaic patterns and interiors are illuminated with intricately detailed metal lamps. Floor and wall tiles are used frequently throughout the kitchen and dining rooms, along with vibrantly colored rugs, ottomans, poufs, and cushions. 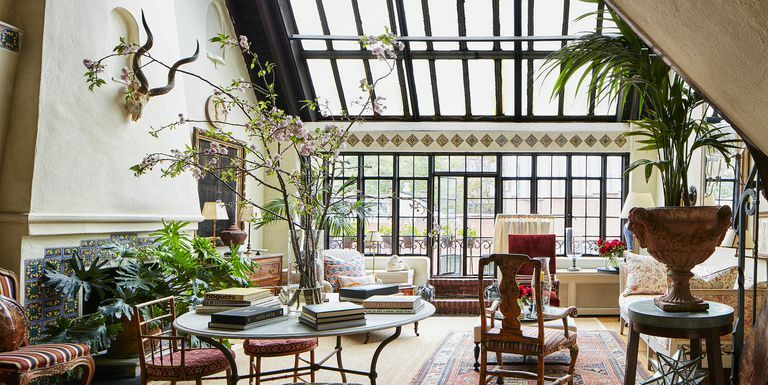 Parisian homes offer a mix of old and new for a unique, eclectic aesthetic. Traditional and modern elements are combined – for instance, flea market finds like a vintage clock or lamp might be paired with a clean, simple modern sofa. Parisian walls are kept white to maximize natural light, and colors used on furniture and decor are darker and richer to create a stark contrast. 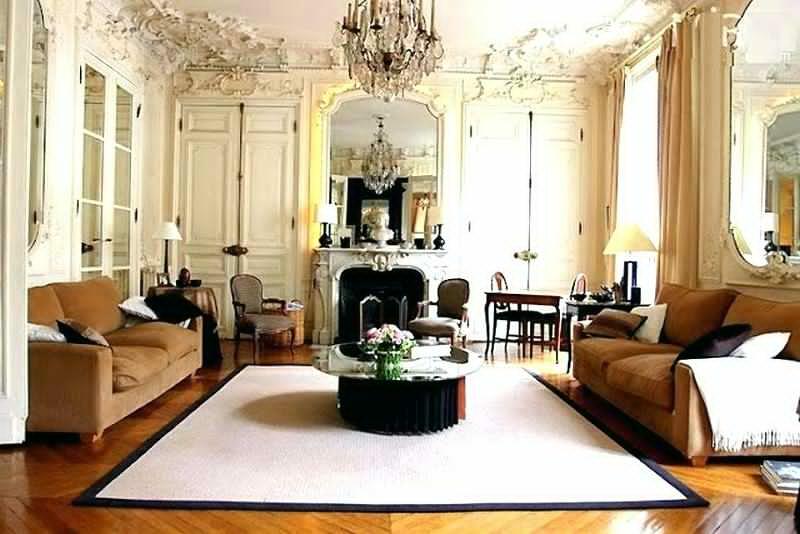 Rugs and chandeliers are two integral elements of Parisian interiors. Rugs are typically patterned and feature a bold color to contrast the white walls. Vintage chandeliers can be found anywhere from the kitchen to the bedroom and offer a touch of Parisian glamour. Renaissance interior design emerged in Europe in the 15th and 16th centuries and is characterized by rich detailing, spacious rooms and elegant materials. 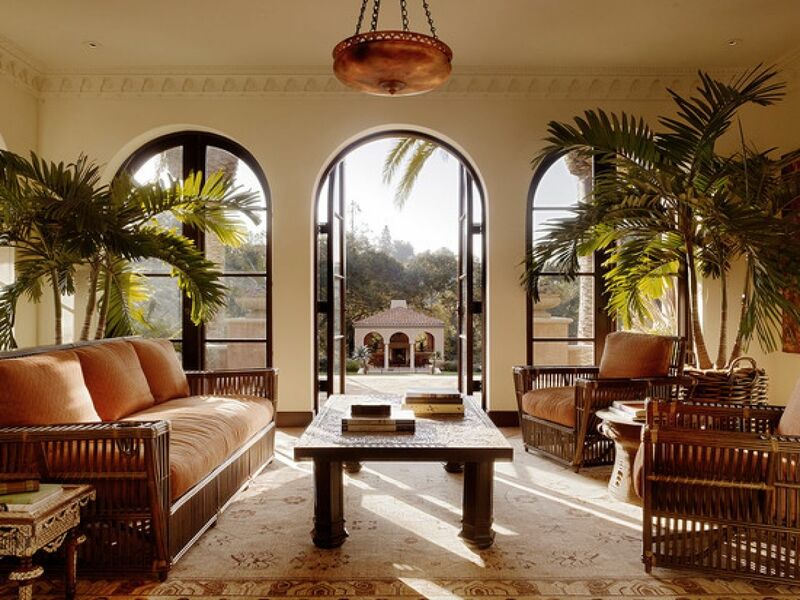 Doors and windows feature rounded arches, and the frames around doors and windows are typically covered with marble. The furniture is equipped with just as much architectural detail, like pilasters, columns and cornices. Renaissance style architecture is marked by a strict adherence to symmetry, proportion, and balance. The first example of this style of architecture was Filippo Brunelleschi’s magnificent Basilica of San Lorenzo in Florence, Italy. The color palette in Renaissance style can be described as deep, dark and oftentimes gloomy, and contains purples, blues, blacks, and greens. Kitchen cabinets are heavily decorated with windows and columns and contain many drawers and compartments. Tables are usually in a rectangular or octagonal shape and constructed out of ornate materials like granite and marble. 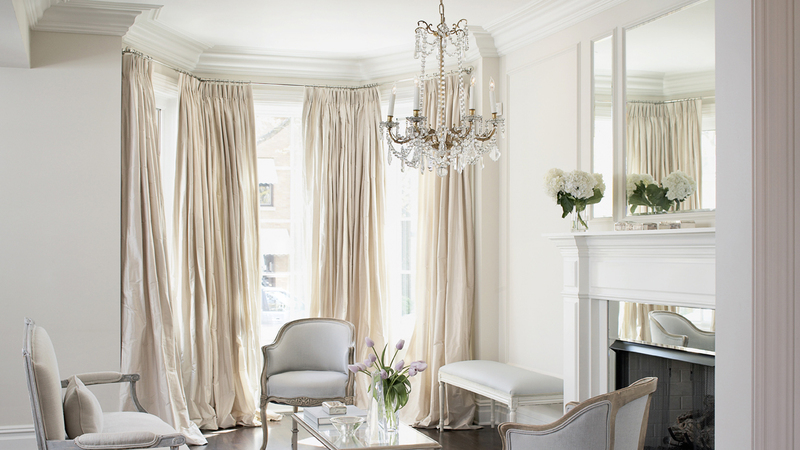 Rococo interiors share a similar look to French style in that they’re light, elegant and airy. The color palette is predominantly made up of ivory, light pastels, and golds. Mirrors are a common decorating tool used to enhance natural light and make space appear larger. Rococo furniture is defined by elaborate carvings handmade by craftsmen. Lines on tables, chairs, and sofa are always curved and soft. Asymmetrical decorations are another big part of the Rococo style, and they’re typically inspired by elements of nature such as conches, waves, corals, and shells. 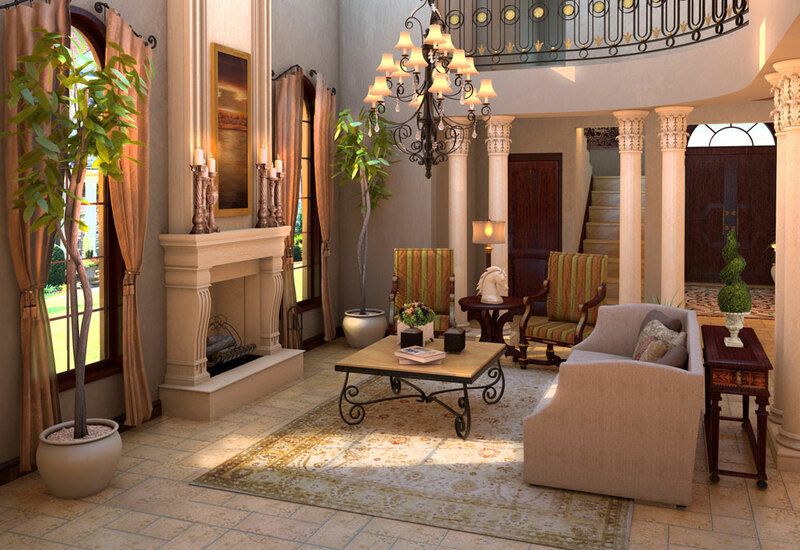 The traditional Russian interior design is one of the most elegant and luxurious designs you can ever meet in a home. Even though it’s rarely found outside of the country, it still keeps its place as an opulent and high-class decor. Like in any other elegant design, quality is the most important. The Russian nobles spend lots of money on the most expensive and qualitative materials and furniture items they could find at the time, and this principle has remained forever in the traditional Russian interior design. 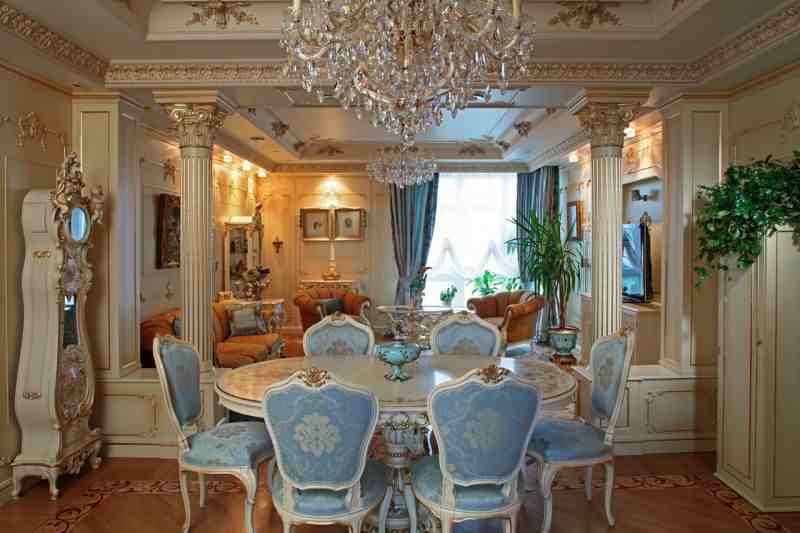 Another important element when creating a traditional Russian interior design is to choose elegant colors. Continue the idea of the quality environment by going for luxurious colors like beige and gold, burgundy red, warm browns, and silver. 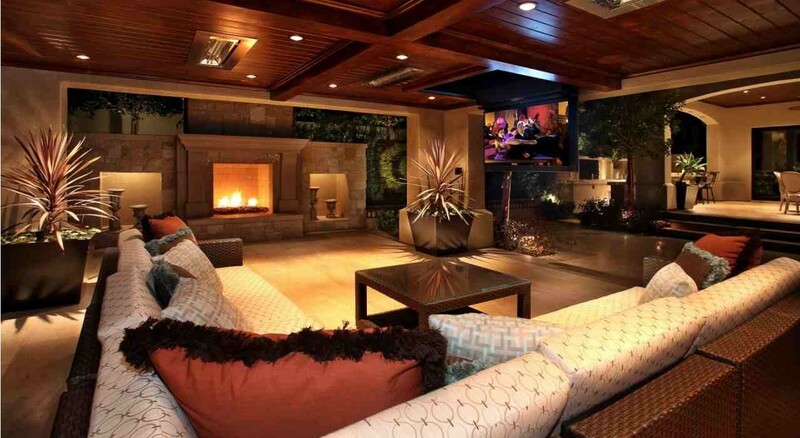 The interiors are quite warm aesthetically speaking, so the furniture must be in warm colors. For this, browns are mostly used, from light to dark hues. 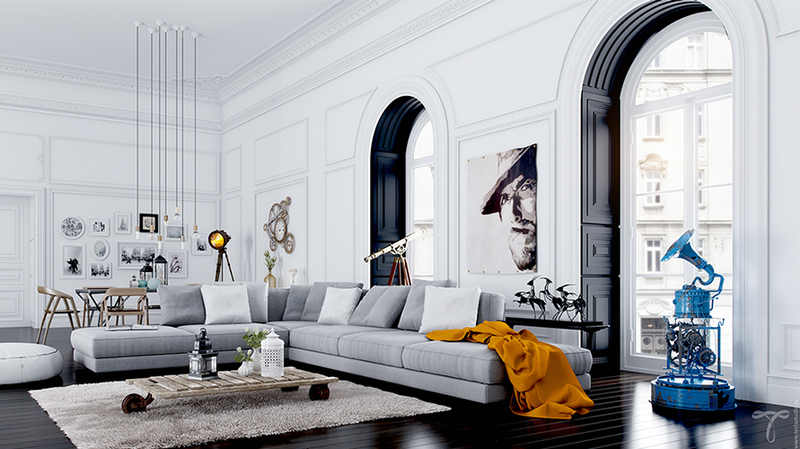 Scandinavian interiors are somewhat similar to both Russian and rustic design styles. It can be defined by its simplicity, use of clean lines and earthy materials. Wall-to-wall carpets are rarely seen in Scandinavian homes – instead, hardwood floors are used in every room except the bathroom. The floors are always light in color, as is the rest of the home. Walls are typically either white or gray, and blue textiles are used on sofas, rugs, and bedding to bring a splash of color into the home. Scandinavian architecture and minimalist furniture feature clean and simple lines. Nordic fireplaces are typically the grand focal point of a room to warm the interior and offer a cozy contrast to the muted colors. Spanish Renaissance combines the rich detailing of the Renaissance era with raw, Mediterranean influences of Spanish style. The furniture is intricately carved with geometric patterns and upholstered with bright, red or green leather and decorative metal accents like brass or metal nails. Chairs and tables are typically made of heavy woods such as walnut, cedar or oak. Light fixtures like wall sconces, chandeliers and lamps are typically adorned with wrought iron. 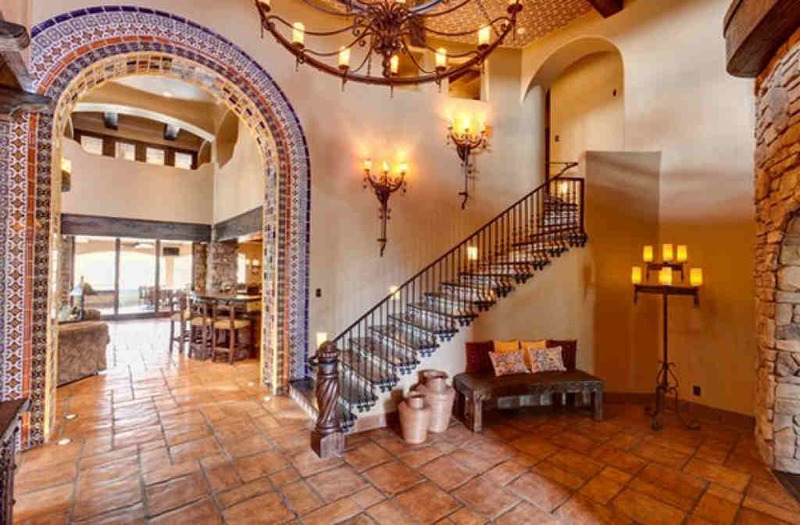 Throw rugs and Spanish-style pottery are used as decorative accents. Windows, doorways and headboards feature arches to soften architectural elements like wooden chairs with straight backs. Architecture of this period was often adorned with low-relief metallic carvings that were influenced by the plateresque artistic movement. 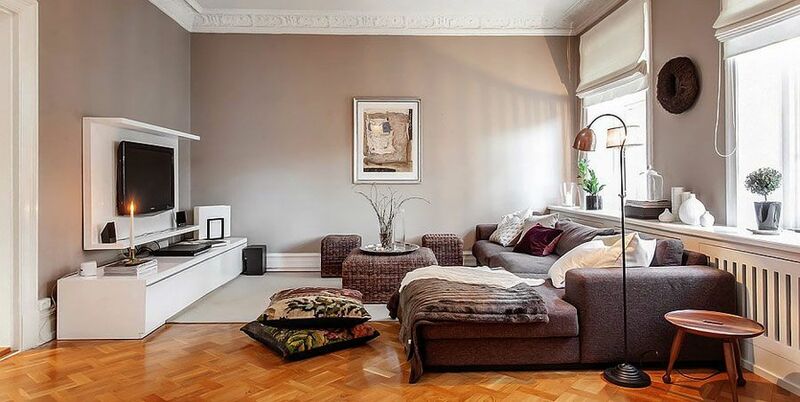 Swedish interiors boast a refined elegance and an uncluttered, classic style. Swedish homes borrow traits from modern and minimalist themes due to the stylistic focus on practicality and simplicity (despite the difficulty of assembling IKEA furniture). Walls are typically covered in a neutral hue like gray or off-white to give a light and airy feel to the room. Interiors can be accented with Earth tones like greens, browns, and taupes, as Swedish style emphasizes the use of nature. Furniture in Swedish homes leans toward a traditional aesthetic – wooden chairs are adorned with curved backs and turned legs, while tables and dressers typically have a weathered look and are painted in white or gray. Sofas and chairs are upholstered with natural materials like linen, cotton, leather, and suede. Light fixtures are neutral and contain very little detail to stick to a simple, minimalist look. Tuscan interior design is decorated with warm, earthy colors like golden yellows, rusty oranges, deep purples and olive greens, much like those you would find on a Tuscan hillside. Floors are packed with detail and contain either worn wood, terra-cotta tiles or a mosaic inlay. Antique detailed rugs add a cozy element to the floors. Windows are always left without detailed treatments so natural light can easily stream in and warm the interior. Furniture borrows characteristics from Mediterranean design with richly stained wood and intricate hand-painted designs of natural elements such as flowers and fruits. Rooms are lit with hanging pendants, candles and wrought iron light fixtures. Walls are decorated with art featuring wine bottles, cheese, fruit, and flowers, while ceiling feature exposed wooden beams. 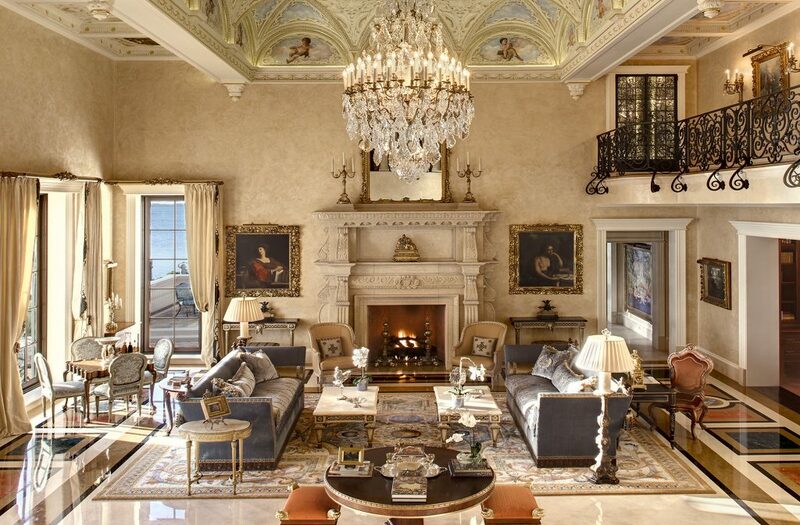 Venetian homes are equipped with a luxurious, enchanting ambiance. Many elements throughout Venetian interiors come with a gilded finish, including feet on furniture and chairs, mirrors, candle holders, picture frames, etc. Collections of smaller mirrors with ornate detailing are used as decorations and help the interior appear more spacious. Wall sconces are used to highlight the mirrors and reflect light. Furniture is adorned with wood detailing and typically upholstered with a patterned fabric such as florals or stripes. Venetian homes boast a rich color palette made up of creams, deep wine reds, golds, and purples. 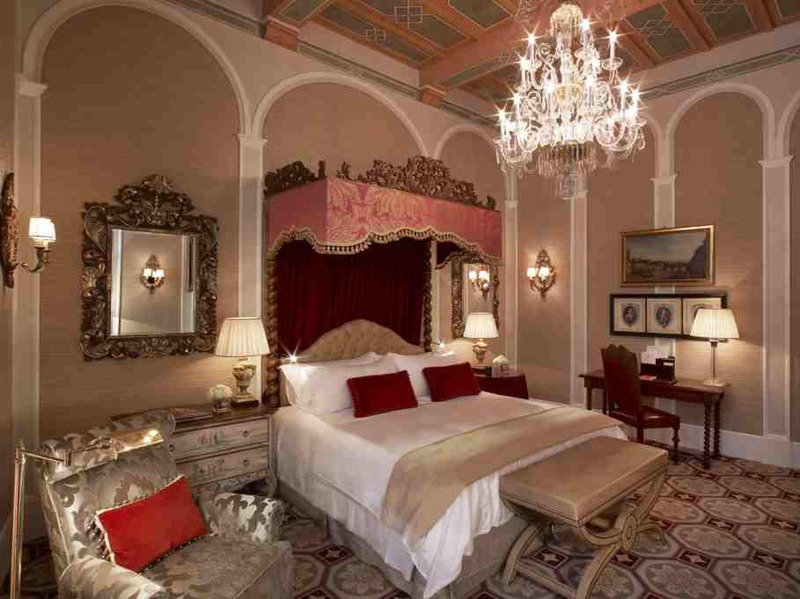 These shades are illuminated by an arrangement of white candles and grand chandeliers. One of the more prominent features of Venetian architecture is the use of the pointed Gothic Lancet Arch in combination with Moorish decorative patterns and material influence.